This is your inside source for what’s going on with Go Daddy’s tech experts. You’ll get insight and opinions from Go Daddy’s tech leaders on industry topics, company projects & open source initiatives … the leading edge, unconventional, “behind-the-scenes” information you won’t find anywhere else. It’s not PR, it’s not executive talk, it’s the story straight from Go Daddy’s developers, engineers & IT personnel. Shockingly, I’ve signed up to blog about database scalability. 😉 I’ve just started a new series that explores the tuning and design changes required to support 27k transactions per second during the airing of Go Daddy’s Super Bowl commercials. Those who attended my Summit 2009 session might recognize some of the high-level content, but this series will explore the topics in depth and with never-before-revealed detail. My first article, Scaling the Database: Data Types, is now live. Selecting inappropriate data types, especially on large tables with millions or billions of rows, can have significant performance implications. In this article, I’ll explain why and offer suggestions on how to select the most appropriate data type for your needs. 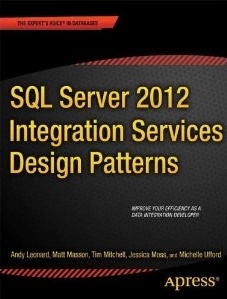 The primary focus will be on common data types in SQL Server 2005 and 2008, but I’ll also discuss some aspects of clustered indexes and column properties. Most importantly, I’ll show some examples of common data-type misuse. If you’re interested in this content, you can find it here: Performance Considerations of Data Types. Special thanks to Paul Randal and Paul Nielsen for providing me with technical reviews and great feedback. You guys are awesome! Thanks also to Mladen Prajdic and Jeremiah Peschka for their great input. You guys are awesome, too!